There are a whole lot of scriptures that express God’s love for us. The scriptures say He chose you before the foundations of the world that you would be holy and blameless before Him in love (see Ephesians 1:4). Because of His great love for you, He made you alive to Christ even while you were dead in your trespasses (see Ephesian 2:4-5). You’re the apple of His eye and He has your name tattooed on the palm of His hand. Not only that, but it’s who He is (see 1 John 4:8). He can’t be anything else; only the pure essence of love. No matter how big you think your sin is, His love swallows it whole and leaves nothing left. He doesn’t condemn you or guilt you into coming up higher. He loves you in it. The Bible states that we’re God’s children. If you’re a parent then you know nothing matters more than your child. You would do anything for them and your deepest desire is to see them succeed at life. There’s no good thing that you would withhold from them. If we know how to love our children in our imperfect state, how much more does God know how to love us? Meditating on scriptures about God’s love for me helps me the most (besides prayer) when I’m filling up on love. I struggled with loving myself for a long time. I flat out hated myself before I met Christ. It was so freeing for me to learn that God loves me and accepts me. And He loves you too! The reason I’m focusing intensively on how much God loves us is because you cannot give away that which we do not have. 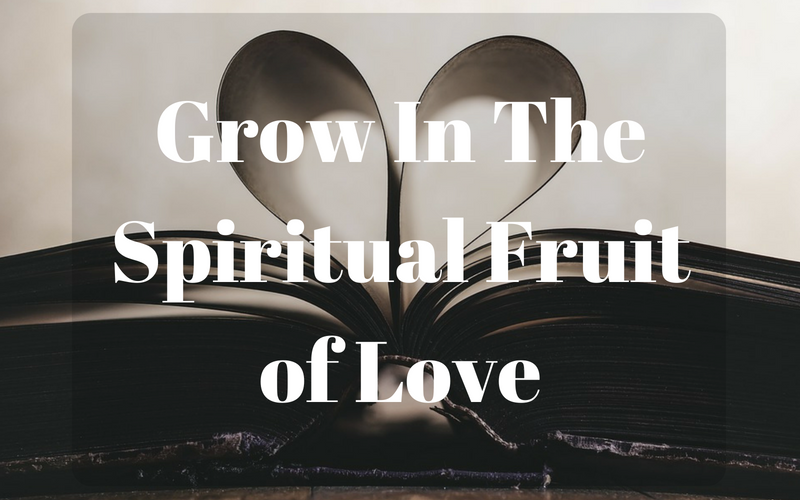 You must receive God’s love first and become so full that you begin to overflow. It should come down from heaven and out of you. That task is still relevant today. The world is full of hurting people. They don’t need criticism and hatred. They need the love of God which can change their lives like it has done to countless others. Loving people isn’t a one time deal; It’s a lifetime commitment. And if we’re honest with each other, sometimes it’s unenjoyable to have to be nice a person who doesn’t treat us well. It could be a co-worker, a cousin, or even your kids. People can be annoying at times. It seems like some of them push our buttons on purpose. Yet, this is when it’s vital to love people. God’s not impressed when we love those who love us. That’s a natural human instinct. Godless people adore their families. When we are overtaken by hardships and troubles and continue to remain loving, then it gets attention. I needed to read this morning! Your post was one of the first things I read and it hit right where I have been struggling! Like you I need to work at being loving (especially to people who annoy me). Thank you for sharing this and including scripture I can look at again and again when I need it! I’m so glad to hear it motivated you to become better at loving the ones who make it difficult to love them.